The snow in Brentwood clung to the ground, and as Roberta Sterling, R.N., looked out the window of General Hospital, she felt her hopes dropping and drifting like the snowflakes. For Roberta longed for the warmth of summer. 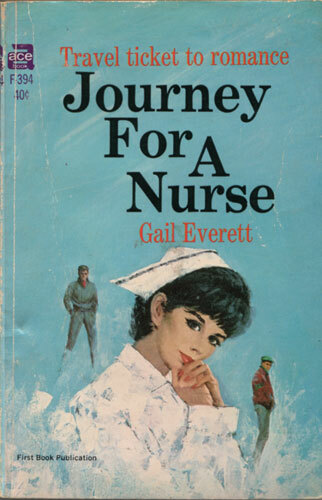 Then it seemed she had found the road…as the private nurse of old wealthy Mr. Prescott, she would travel to California. But it was a strange journey for Roberta as she became involved with two handsome antagonists: Prescott’s blond chauffeur, Claud, and the old man’s rakishly dark-haired son, Elliott. And as she reached the sunny beaches of her destination she felt her heart reach back home, where she had left the one man who could melt the snow in her heart.